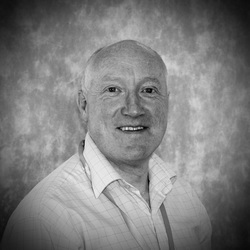 David has taught for over 20 years starting in mainstream in the Midlands in Early Years then moving back to Yorkshire in 1998 to work with learners with severe and complex learning needs in an Early Years class. Since then he has worked in Special Schools and has really had lots of fun, with support from parents and colleagues. David knows that it is the children and young people that drive him to do a great job. He enjoys the challenges at Hilltop and feel very privileged to have such a great job. Shaz has worked with young people and within communities for the last 30 years in youth centres and as part of a detached team in different areas of Rotherham. Part of her role is encouraging participation of young people in projects and activities, offering new experiences and empowering young people to grow into confident members of the community in which they live. She has developed a range of positive links and partnerships within the community and has attended the Youth Taskforce Conference to give a presentation around partnership work as a part of the Safer Neighbourhoods Team. Shaz currently works with young people to build their confidence, self-esteem and social skills in different areas of Rotherham. ​in careers and enterprise, providing employability, careers, and start-up advice and support to people of all ages and backgrounds. Never one to stagnate, she decided to go into the private sector and secured a position as part of the senior management team at a lone worker safety provider, where she was responsible for HR, compliance, service design, lean management, and programme management. She also managed the Client Services team. & growth, lean process mapping, service management, and digital marketing. Jen joined the board of governors at Hilltop LGB in 2018. Jen has worked in the Higher Education sector for over 10 years where she currently provides specialist advice and support for students experiencing personal, academic or practical difficulties; ensuring intervention and effective risk management. Jen has also had previous board experience, being chair of trustees for a Sheffield nursery providing essential and cost effective childcare to her local community. Jen is really looking forward to working collaboratively with the board of governors at Hilltop and is passionate about working to deliver an inclusive and responsive service, enabling a positive student experience, attainment and progression and responding effectively to student diversity. Ruth is a Specialist Speech and Language Therapist with significant experience working with children with a range of Speech, Language and Communication needs between the ages of 1-18. Prior to training as a Speech and Language Therapist Ruth worked as a Learning Support Assistant for children with profound and multiple learning difficulties. Having worked as a Speech and Language Therapist for the NHS in both London and Yorkshire, Ruth currently runs a small private practice. Sandra works for the Telecommunications company O2 Telefonica as a 2nd Line technical Guru. She is the proud mom of two, one which is a pupil at Hilltop School. Her studies were in Curative Psychopedagogy and although she hasn't used much professional it now really helps her a lot when she works with her son on his development. She would love to use that knowledge to work with the school on teaching and learning development. She is also passionate about new technology and considers herself, proudly, a bit of a geek although she is a firm believer that technology has it's time and place and it can be useful but shouldn't never rule our way of life. ​Rachel has very recently taken early retirement following a 36 year career in the NHS, working in both operational management and senior leadership roles. 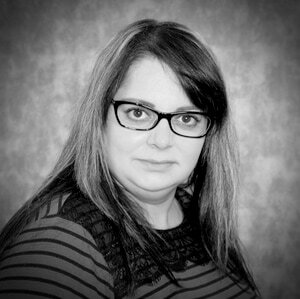 Rachel was Chief Operating Officer and more recently Executive Director of Planning and Governance and has a wealth of relevant experience in all aspects of strategic planning, performance delivery, governance and leadership. Rachel has a Masters Degree in Health and Social Care and many of her successes in the NHS have involved taking a collaborative approach to working in a multi agency way to deliver service improvements. Rachel is excited about bringing these skills and experience to support the LGB at Hilltop in ensuring the best quality of education and care. Gavin has worked at Hilltop for over ten years and in his time has worked across the school with young people of all ages. Gavin is an Intensive Interaction practitioner and passionate about the benefits that it can have for our young people. ​He is enthusiastic about the future for the school and proud to have been elected to the governing body to represent non-teaching staff. ​Mellonie is a proud Mum of two boys, one of which has been a pupil of Hilltop school for number of years. She returned to college and passed a Level 2 teaching assistant course, but with her youngest son having many medical appointments she never utilised the qualification at the time. Mellonie has always been an advocate for the school and its beliefs, she started working voluntarily just over two and a half years ago, and has work full time on supply for over year. She believes every child has a right to reach their potential and communication is key to this. Having recently joining the governing body she is passionate about the school and its future. Sarah has had wide and varied career, and currently uses her skills as a business development executive for a local marketing agency. She is the mother of 4 boys one of which has attended Hilltop school for the last 2 years. Sarah is also chair of trustees for a Nottinghamshire Pre-School and after school club, where is she is working to provide better access for children with additional needs. She has worked previously in mainstream schools as a TA for children with SEN and on home-based ABA programmes, she is passionate about communication and making sure those without a voice are heard. Jill has been teaching for 24 years and has taught in Primary, Secondary and Special Education. Jill has worked in Special Educational Needs for over 12 years – both in Mainstream and Special schools. She has the National SENCO PGCE and has worked as SENCO in schools for 6 years. Additionally Jill is a qualified Specialist Leader in Behaviour and Attendance. Jill continues to use Action Research to develop procedures within schools at all levels. Helen has worked at Hilltop School since 2009. She is a trained Secondary teacher and has worked in both KS4 and Post 16 during her time here. Helen is passionate about student voice and currently helps to run the school council along with a primary colleague. She also has a passion for PHSE and global learning and has helped to achieve the healthy school award on several occasions. In her spare time Helen enjoys going to festivals, looking around antique shops, Japanese animation and spending time with friends and family.